I can’t believe Christmas is only two weeks away! It got me thinking about family traditions and what we usually eat for Christmas dinner. Every year, it is tradition in my family to cook a large ham with pineapple rings all over – yum! It is wonderful to have traditions and continue them, but it is also nice to start your own family traditions. This is Leila’s first Christmas, and so I was thinking about easy holiday dinner ideas for busy moms that will be hosting a dinner party this year. Then I remembered this slow-cooker vegetarian lasagne. My mom came to visit and help with the baby a few months ago, and made the most delicious vegetarian lasagne for us. I didn’t miss the meat at all, it was so flavorful and filling with vegetables alone. The secret: simmering the vegetables in a flavorful tomato sauce like Ragu in the slow cooker for a few hours until the vegetables are cooked and tender. A lasagna is something that shouldn’t be rushed, but also shouldn’t have to be draining to make. 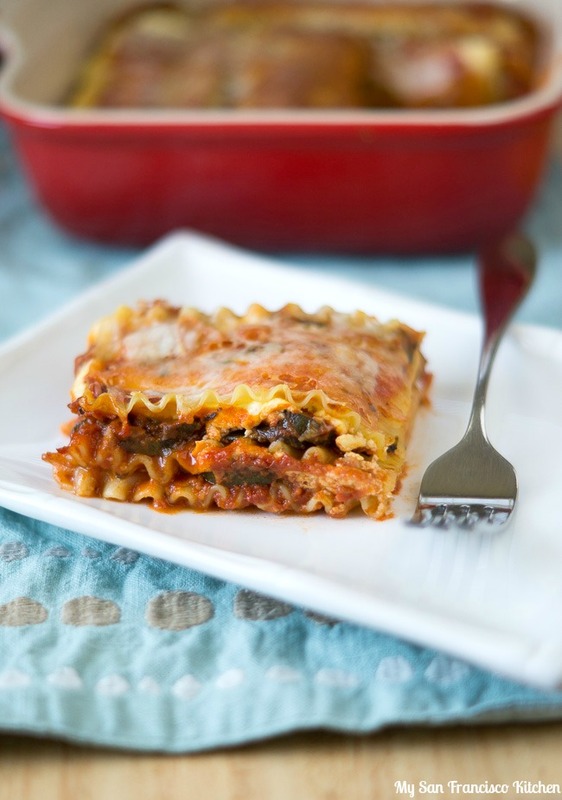 The slow cooker helps a lot in this flavorful vegetarian lasagna recipe by doing most of the work for you. Once the vegetables are cooked, all you have to do is layer everything and bake it in the oven. This slow-cooker vegetarian lasagne is also a great dish to make ahead of time because it freezes well. 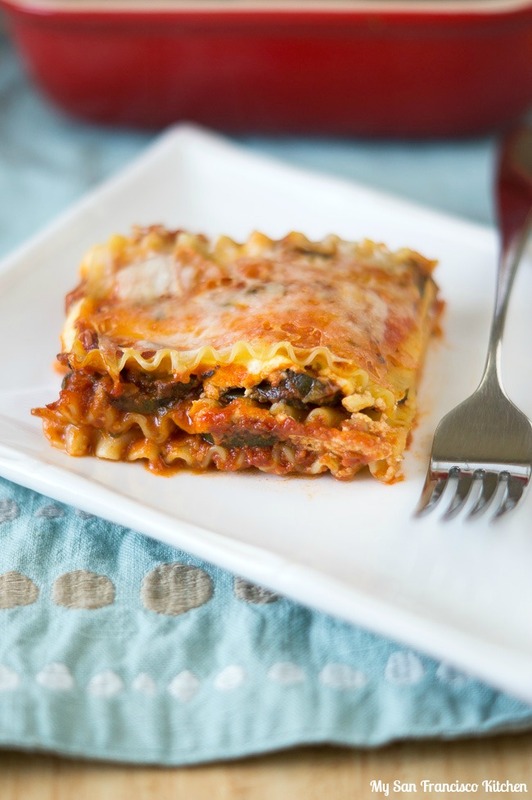 You can adjust the size of this slow-cooker vegetarian lasagna recipe to meet the needs of your family, whether it is just two of you or you are making a main dish for a large party. 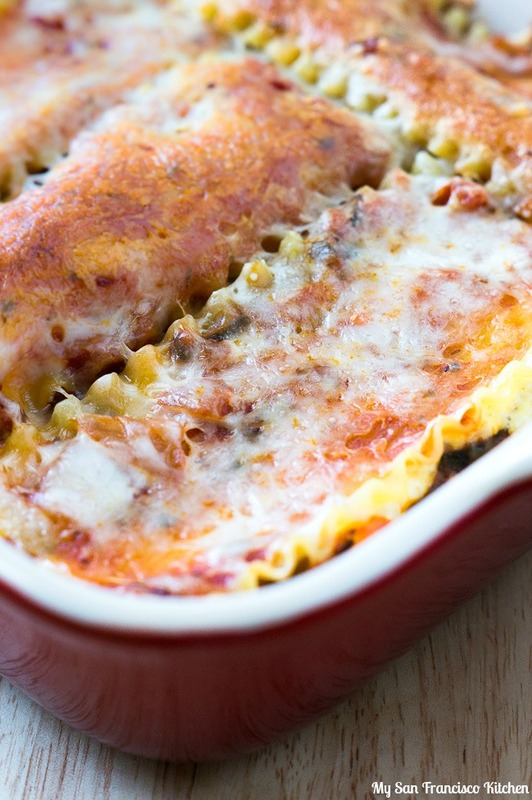 One last tip: use oven-ready lasagne noodles. It is so much easier, and they work great! What are your family traditions for the holidays??? 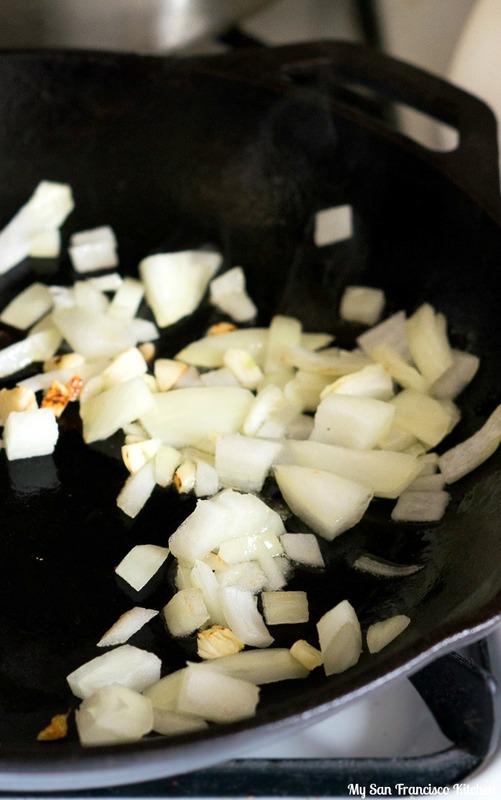 Heat olive oil in a skillet over medium heat and sauté onions and garlic until soft, about 7 minutes, stirring occasionally. Set aside. 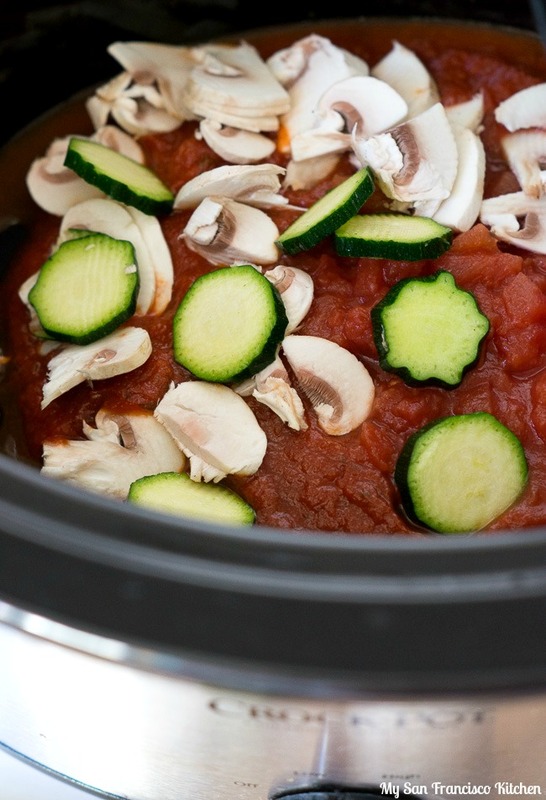 Add the Ragu (reserving a few tablespoons for baking dish later), canned tomatoes, zucchini, mushrooms, basil, oregano, and red peppers to a slow cooker and cover and set to low. Cook for 4-5 hours on low, stirring occasionally. 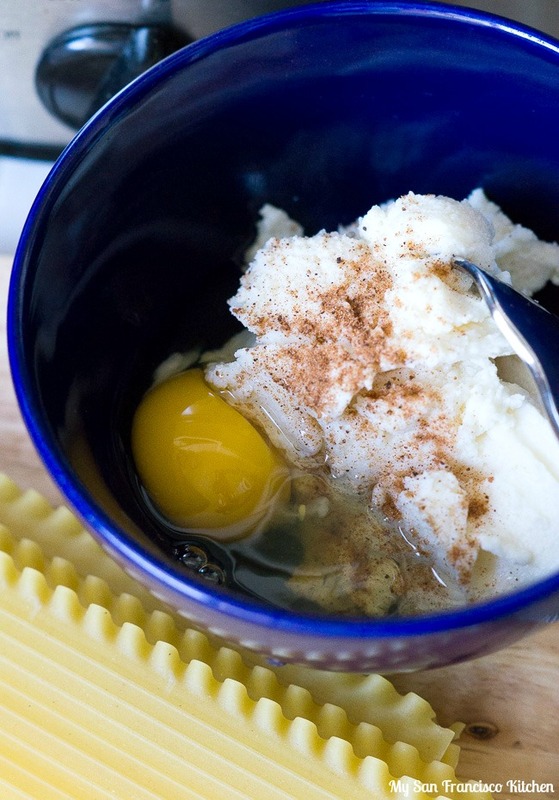 In a bowl, combine ¼ cup shredded mozzarella cheese, ricotta cheese, egg, and nutmeg (can also add spinach here, or in the slow cooker in the end, your choice!). 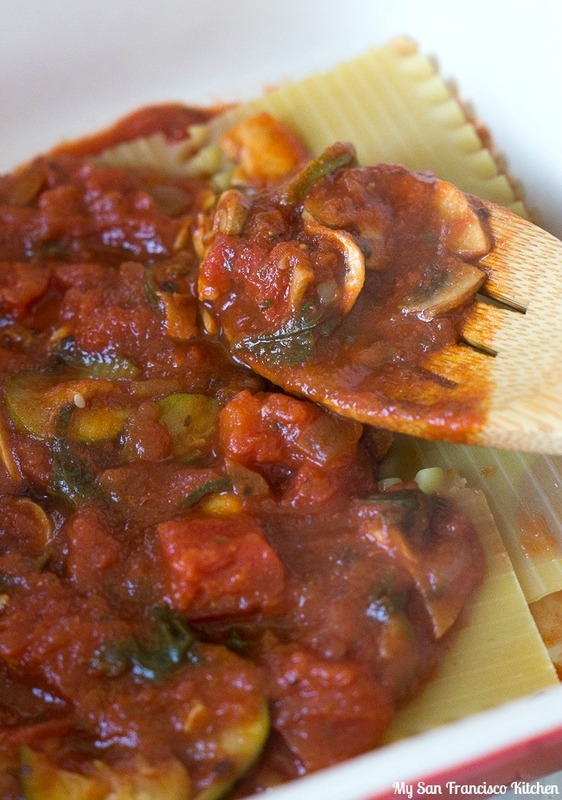 Add the few reserved tablespoons of Ragu to a 9x13-inch baking dish and spread around so noodles don't stick. 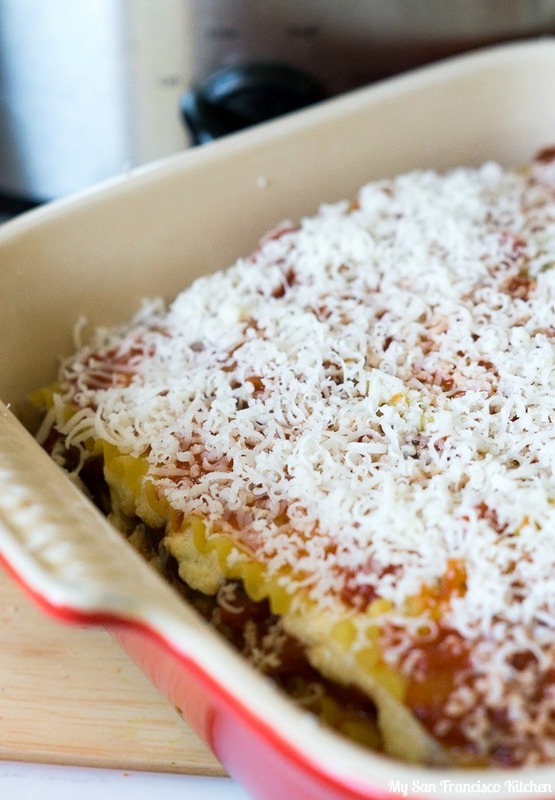 Layer the lasagna with noodles, vegetable sauce, ricotta mixture, and repeat. End with a final layer of noodles and top with the remaining mozzarella cheese. 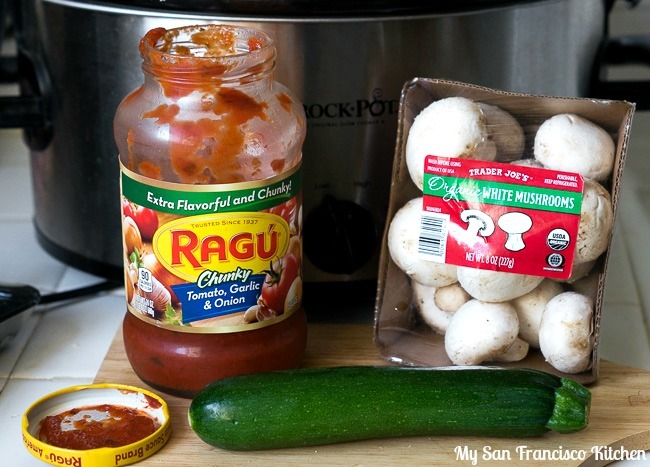 Check out Ragu’s website for more recipe ideas! This entry was posted in Christmas, Dinner, Italian, Lunch, Vegetarian and tagged casserole, cheese, lasagna, mozzarella, mushrooms, onion, pasta, spinach, zucchini. This looks so delicious, I wish I had a slice right now 🙂 and I think its nice that its vegetarian. I love Christmas traditions and ham with pineapple slices is great, we typically do ham or prime rib. I love both. Take care. I love lasagna! Although I usually make one with meat sauce, I sometimes do a veggie one, too. Mushrooms to the rescue — they have so much flavor and great texture, don’t they? This looks terrific — thanks.